150 years ago, 688 emigrants proceeded “thither to found a new colony” in Kaipara. Named ‘nonconformists’ by The Act of Uniformity 1662, they refused to be bound by the beliefs and practices of the Anglican Church and aspired to establish a classless society. The Auckland Provincial Council scheme “provided 40 acres each for a man and his wife, and 20 acres for each child between five and 18 years old provided they paid their own fare and stayed on the land for five years, built a house, and began farming”. 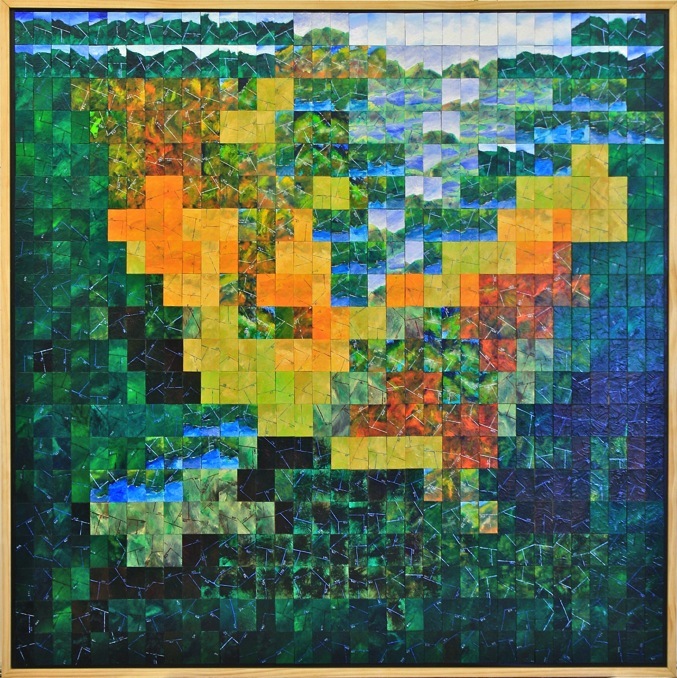 The two major artworks in this series comprise 700 landscape paintings (representing land apportionments). The first is a painting (1.5 x1.5m). 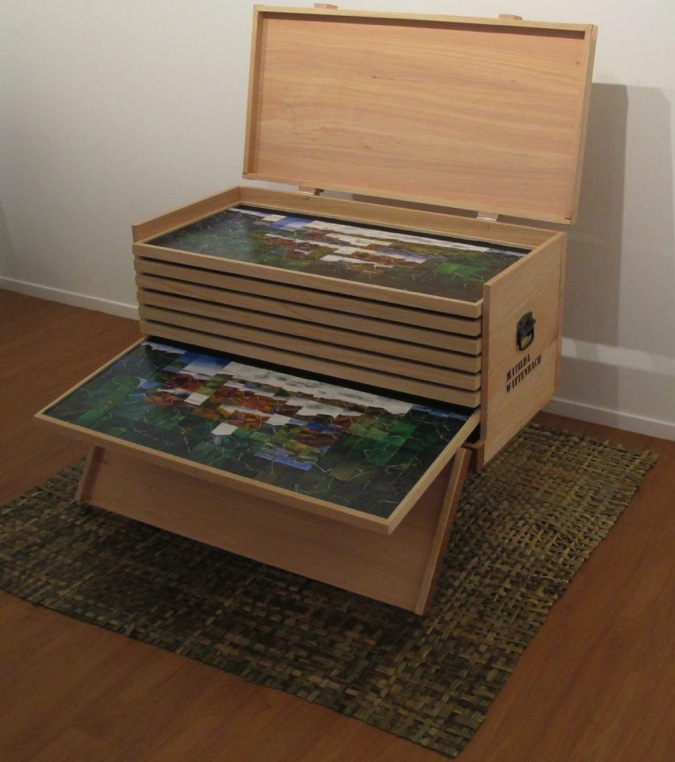 The other artwork is a painting installation which contains 700 landscape paintings within a travelling trunk (Hugo Pauli) raised above a whāriki (Beck Broughan, Catherine Lang, Tania Rossiter, Adelia Sadler, Maureen Stewart, Phillipa Stewart). The work invites societal and cultural questions relating to the classless society (when we now speak of an underclass), land and its significance through and beyond ownership.